Doug Spong, the president of Carmichael Lynch, received the Donald G. Padilla Distinguished Practitioner Award at this year's Minnesota PRSA Classics Awards. 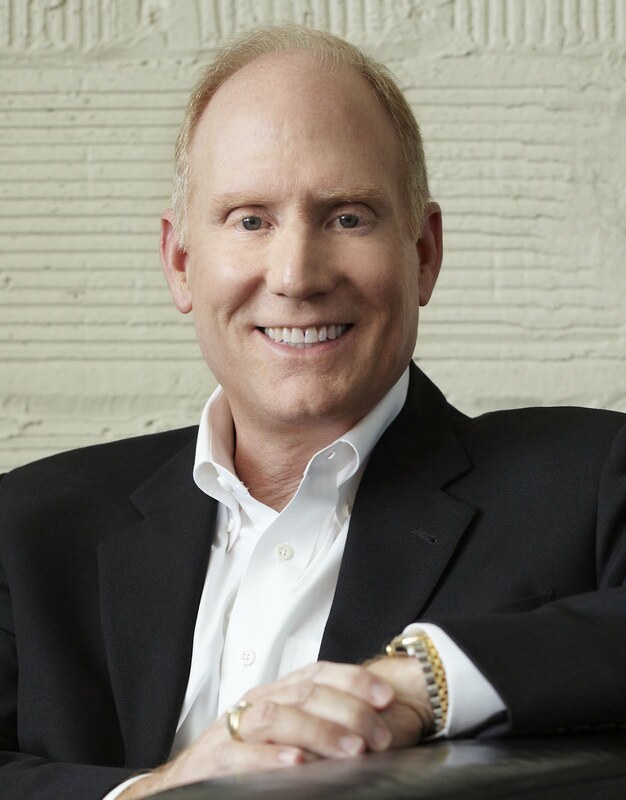 He also is the founder and president of Carmichael Lynch Spong, a four-time winner of "PR Agency of the Year" by industry trade publications PRWeek, PR News and Holmes Report. 1. What are the highlights of your public relations career? As you can imagine, there's a lot to love about 30 years of practicing the art and science of public relations. It's a tremendously fun, challenging and rewarding profession. If I had to choose just a few highlights in my career, three things come to mind. First, and most recently, I'm proud of my expanded role as president of Carmichael Lynch, one of America's most-admired creative agencies. Being responsible along with my two fellow managing partners for the advertising, digital, consumer engagement, brand activation, social and, of course, public relations disciplines is a rather unique and fresh challenge. Not many PR people are asked to share in the leadership of a large $350 million creative agency. The collaboration between our disciplines fosters creative thinking and inventive ideas that help redefine clients' business success in a meaningful way. Second, I'm very proud of founding Carmichael Lynch Spong from scratch 20 years ago and building the public relations firm to the size and stature that it is today. We rank among the top three largest PR firms in Minnesota and one of the top 25 in fee revenue nationally. More important, Carmichael Lynch Spong ranks among the leaders in setting the high-water mark for creative awards and client results on a national stage. Over the past 15 years, we've won more Silver Anvil and Bronze Anvil awards than all other Minnesota PR firms combined. Third, I'm proud to say that after 30 years in the public relations profession, I'm as intrigued and motivated by the rapid pace of change today as I was when I was a young, dumb and excited PR account executive at Colle & McVoy in 1981. The opportunities to exercise both my left brain and right brain are endless. I work hard to stay abreast of the almost daily changes in the digital space and the socialization of brands in the heads and hearts of consumers. Change is a way of life in our business, and the real fun comes in understanding and embracing change. 2. What are some of the key lessons that you have learned in your career? Thirty years teaches you a lot. About people. About clients. About what's great thinking versus pedestrian ideas and ho-hum work. Let's tackle the people lesson first. Great people have a tendency to hire other great people. Good people hire fair performers. And fair people hire poor performers. It all starts with picking the right talent in the agency business. I've been blessed to work with and around many of the best people in our profession. Great people have a way of developing insightful strategy that leads to fresh, breakthrough ideas. These ideas, in turn, help reinvent a client's business through remarkable results. At the end of the day, I work more to delight my people than they will ever work for me. My job is to create a firm our great people are proud to call home with clients they're proud to represent and like-minded others with whom they're proud to share a common purpose. Now the client lesson. I learned long ago to be as picky about the clients we represent as our clients are in choosing their outside PR counsel. If you were to profile our clients, the first thing you'd notice is they're the "dominant dog" in their respective categories with top market shares. They rank #1 or #2 in their respective industries. Second, our clients have the appetite as well as the resources to afford great thinking and creative work. There's nothing more frustrating than a mismatch in expectations with a client. If good enough is good enough, we're probably not the firm for that client. Likewise, if a client doesn't have the deep pockets to afford the level of work we offer, there are other agencies better suited to get it done on the cheap. Finally, we expect to grow with our clients. If we live up to our end of the bargain and help our clients defy gravity with the results, then we want to be rewarded for that with organic growth. Give us more responsibility. Another division. More corporate reputation work. Whatever helps us continue to be a bigger part of our clients' successes. Finally, the ho-hum work question. I'm rather disappointed with the PR profession right now because I see so much ordinary, expected work coming out of it. If your idea begins with "The world's largest…" or "A tweetup…" you need to reexamine your thinking. At the end of the day, big ideas capture a client's attention and resources. We can't be seen as the red-headed stepchild to advertising, digital, social engagement and other agencies out there. PR needs to raise the bar on ideas that resonate with the head, heart and soul of the intended target. 3. Carmichael Lynch Spong is one of the most-awarded firms in the nation. What is the secret to your success in the awards realm? The secret sauce is the right mix of art and science. The science includes robust consumer insight that reveals a distinct, proprietary position along with the use of analytics to both measure outcomes and, more important, better predict outcomes. The art of creating award-winning work begins with a healthy gag reflex to bland, ordinary and expected ideas. Really. You have to barf out the most obvious and textbook thinking right up front in the ideation process. If you haven't killed 50 ideas, you haven't found the right idea yet. Great ideas are inherently simple in nature, but take units of blood, sweat and tears to develop. 4. What advice would you give to new public relations practitioners? Don't be profiled a "Millennial." I don't subscribe to the notion that today's young professionals are the trophy generation, can't swallow any feedback except praise and are only concerned about themselves. So don't act like one. You're not expected to have all the answers, so ask a lot of good questions. Accept the fact that you weren't born with a God-given gift to know it all, so solicit feedback on what you can do to improve your knowledge and skill set. Finally, pour your heart and soul into your career early on. Quit worrying about work-life balance when you're 25 years old. Nobody ever spontaneously combusted from hard work, so get your career off on the right foot by working harder than most to achieve great things at a young age. 5. Is there anything else that you would like to add? Yes. I am humbled to be this year's choice for the Donald G. Padilla Distinguished Practitioner Award. Thanks to Minnesota PRSA and my friends at Padilla Speer Beardsley for honoring my commitment to the PR profession and our community with this huge honor. Twitter Turns Five - Why only 140 Characters?